Last Tuesday, Google Marketing Live took place across the pond in San Jose, California, and as a Google Premier Partner we had exclusive access on livestream to the Keynote updates and discussions. This provided us with a unique opportunity to watch the announcements unfold alongside those who would ultimately benefit from the new updates the most – our customers. We even had goodie bags sent to us from Google. Talk about Premier service! Needless to say, we were really looking forward to hearing all the latest news and treats Google had in store for us, and our customers were able to hear about it first-hand. It’s fair to say that we were not disappointed. During the Keynote, Senior Executives from Google revealed a number of innovative changes and features that will soon reshape and revitalise the world of Google’s advertising platforms. After announcing back in June that after 18 years AdWords would be going through a rebrand in order to streamline the service, Google AdWords is officially becoming Google Ads from the 24th of July and the change ushers in an array of new features and functionalities. Curious? Here are some of our key takeaways from Google Marketing Live. It’s not news that Google have been working hard on integrating machine learning and automation into its ad platform. This has been something they’ve been talking about for a while now. The good news is that it’s finally about to be rolled out to all advertisers very soon, in the next few months, in fact. Anthony Chavez, Product Management Director at Google, described how Responsive Search Ads use machine learning to combine a variety of different headlines and descriptions to create ads that are more relevant to the searcher. By testing different combinations, it becomes a lot clearer which adverts perform best. Well, the biggest benefit to this new development is that we now have the ability to include 90% MORE copy. This means ‘larger’ adverts that get across key selling points more strongly and also take up more ‘real-estate’ on SERP’s, most importantly on mobile. According to Google, this should also bring an improvement in click-through rates and a decrease in cost-per-click, as adverts are more tailored to a user’s search, thereby improving relevance. 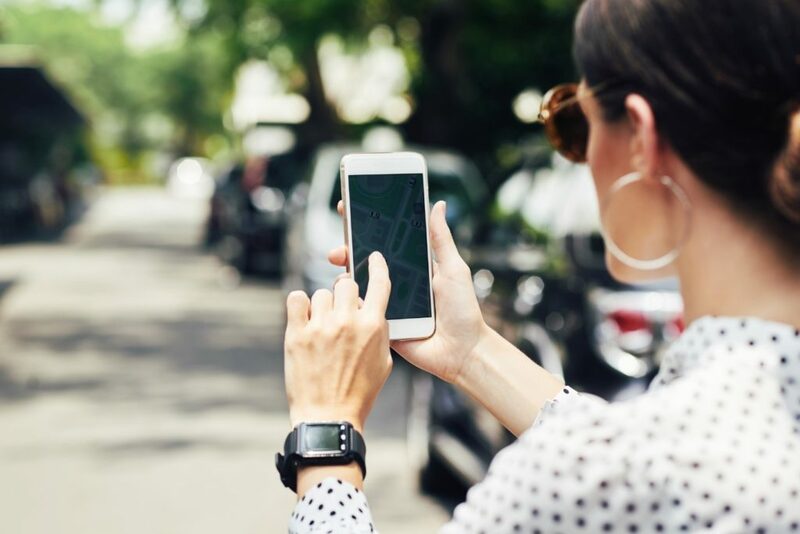 Capitalising on the fact that there has been a 10x increase in “near me” searches, Local Campaigns are perfect for businesses that are looking to increase footfall into brick and mortar stores. When advertisers set a budget, ads are then created automatically using both ad creative elements and location extensions. This automatically optimises ad delivery across Search, YouTube, Maps and the Google Display Network, aimed at materialising digital efforts into customers physically visiting stores. The campaign then reports on store visits using anonymised and aggregated data from signed-in Google users who have location history turned on, by prompting them to interact with Google maps on the SERPs page as opposed to entering the information into their own app, such as Apple Maps for example. Considering that over 75% of users who search for a product ‘near me’ visit a relevant store within 24 hours, this could be a massive benefit to businesses whose number one objective is to bring more people into their physical store. A caveat must be added here, though. Effective tracking of these interactions only works if users are happy to share their history with Google and, in post-GDPR Britain, this could be challenging. But we are still looking forward to what results this new campaign type might bring. Local Campaigns are expected to launch in the next few months, and we’re really excited to get them up and running for our customers. One of the biggest takeaways from the event, especially for our customers who own small businesses, was the promise of Smart Campaigns. Officially announced a few weeks ago, Smart Campaigns are designed to deliver the results small businesses want most – making phones ring and driving more people into stores. Sounds great right? But what does it actually involve? In short, it means that Google automatically creates sample ads from your website for Local Search and over 3,000,000 sites and apps on the Google Display Network. The search giant is confident this will make it more effective in getting ads in front of the right audience. We think this will save a lot of time too and help us and our clients to establish what ad formats are best. Google also revealed that Automated Shopping Feeds are on the way. Perfect for retailers, this new feature should make it much easier (and quicker!) for product feeds to be created. Simply put, Google crawls your website for relevant product information and then uses this to automatically create product feeds for Google Shopping, a bonus for anyone trying to have a few products on the shopping feed and struggling with the time it takes to set it all up. Thank you Google! We for one, will definitely be giving this little beauty a spin. The one announcement that got our very own PPC guru excited had to do with cross-device reporting and remarketing. As someone who lives and breathes data, the revelation that there will now be even more available data to inform decisions certainly went down a treat. Introduced to Google Analytics for the first time, cross-device reporting can be found within the Audience section. It allows us to compare segments and visualise data in a much clearer way. It also makes it easy to distinguish usage across multiple devices at every stage of their conversion journey throughout a specific date range. In practical terms, this means we can track how our client’s customers are going about making that all important purchase. It certainly sounds like a promising new feature! These were just some of our favourite highlights from the event. If you would like to watch the keynote speech for yourself, you can do so here. 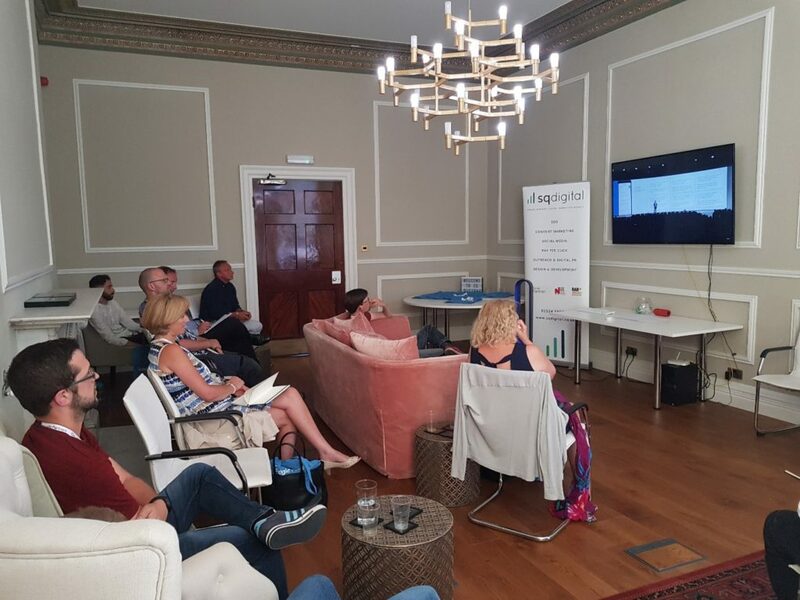 We thoroughly enjoyed hosting the Google Marketing Live event from our SQ headquarters (and not just for all the delicious snacks we provided!) and we look forward to doing more in the future. As Google Premier Partners, we’re always at the forefront of any exciting developments in the world of Google, and we love giving our customer the opportunity to share it with us. With these new features being released over the next few months, we can’t wait to take our customer’s campaigns to the next level. If you found this post interesting and would like to learn more by talking to a member of the SQ Digital team, please get in touch with our digital marketing agency by calling 01524 580 777 or by filling out our enquiry form.